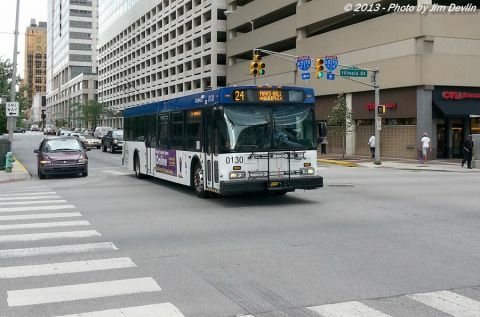 IndyGo #0130 at Ohio St. & Illinois St. in Indianapolis on July 23, 2013. This bus was purchased second-hand from COTA in Columbus, Ohio. Photograph taken by Jim Devlin.